Felix Da Housecat is affiliated with the second wave of Chicago house and aims to bring the jackin’ vibe of Chicago to Lίo’s dancefloor. A clubbing destination with the experience first and foremost at its core, Lίo Ibiza apparently encompasses extravagant production, first-class hospitality and world-class DJs. With stunning views of the Mediterranean Sea, it transforms into a stylistic dance party by night. 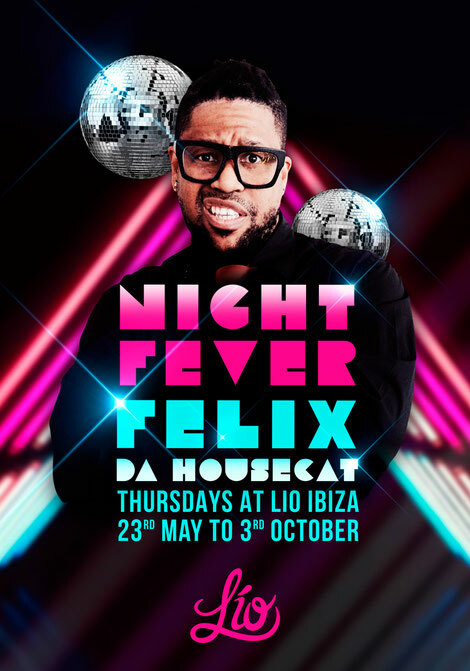 Felix Da Housecat takes to the Lίo controls every Thursday at midnight this summer.